What the heck is NYOrk?! 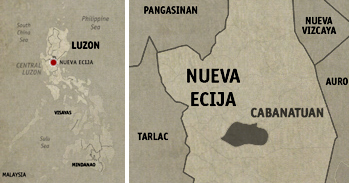 In hushed tones, I asked my seatmate as our van rocketed across the highway from Gapan back to Cabanatuan City. We were on the last leg of our Microtel Cabanatuan Nueva Ecija tour and we’re gonna eat again, this time at NYOrK. NYOrK? This was becoming more of a food trip by the minute than a provincial tour, but my friends don’t mind. 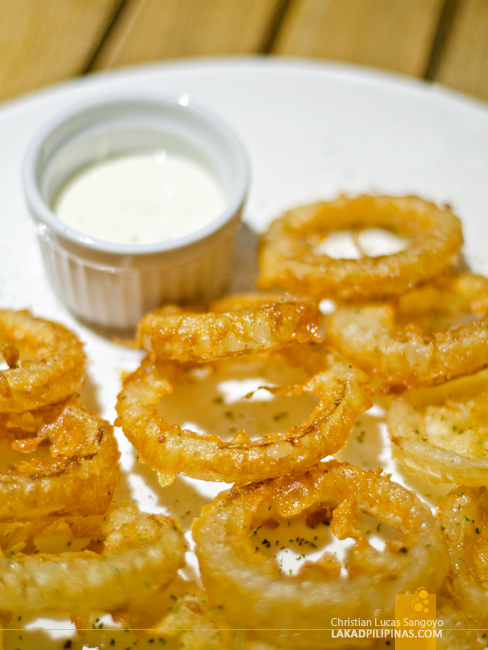 Cabanatuan City has been surprising us with one excellent restaurant after another, so, I really don’t mind too. 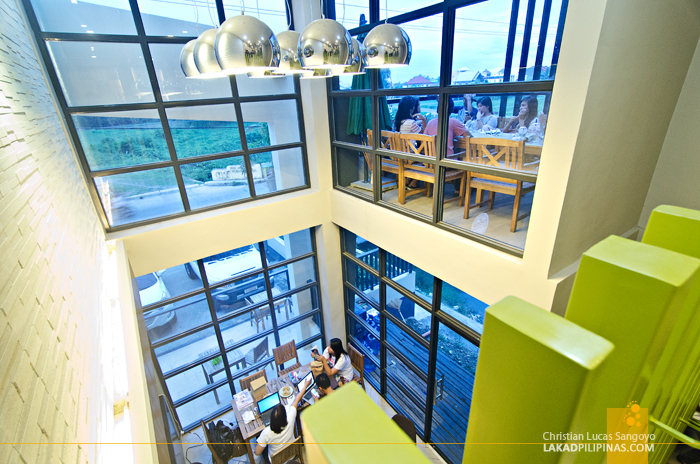 And before dinner, we finally parked at The Podium, a two-storey modern building set in the quiet neighborhood of Kapitan Pepe. Hello NYOrK, we finally meet (and where’s Bjork, by the way?). Finally things were set right. NYOrK it turns out is an acronym for Not Your Ordinary Koffee. 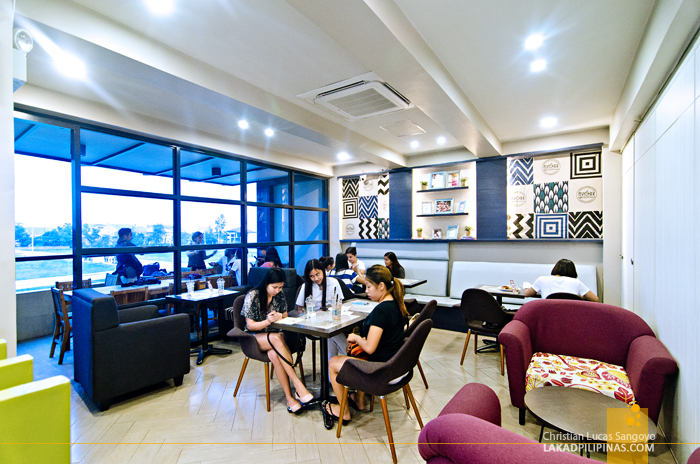 Yup, that’s Koffee with a capital K. And while the café’s interiors were typical of posh coffee shops in the metro, you’d have to remember that we were not in the metro but rather in the rural lands of Cabanatuan City. 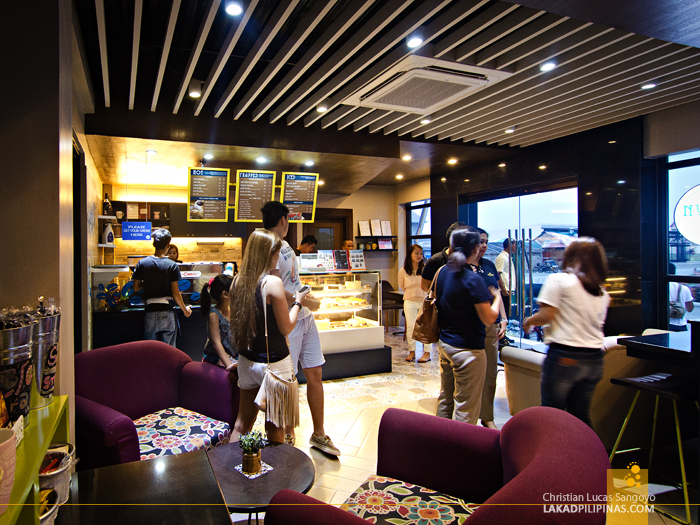 Even the very young owners of NYOrK were surprised that their coffee shop became a hit with the locals, especially the young crowd who I noticed were lounging around, having their frappes and cakes with their Wi-Fi’s. Café culture would probably be the farthest thing you can think of when you’re from around the area, and I did spend some days here as my mom hails from Cabanatuan City. YES! BARBECUE PORK RIBS IN A CAFE! So what’s so different about NYOrK? Their name claims it, so there must be something here. Soon enough, that difference presented itself. First off, they serve salads. 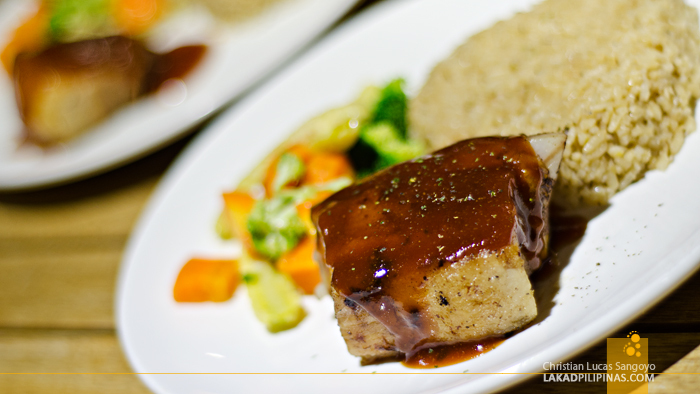 Second they serve hot food—and not just your typical pasta dishes too, but real to goodness food like Barbecue Pork Ribs (Php140.00). How’s that for a café, eh? 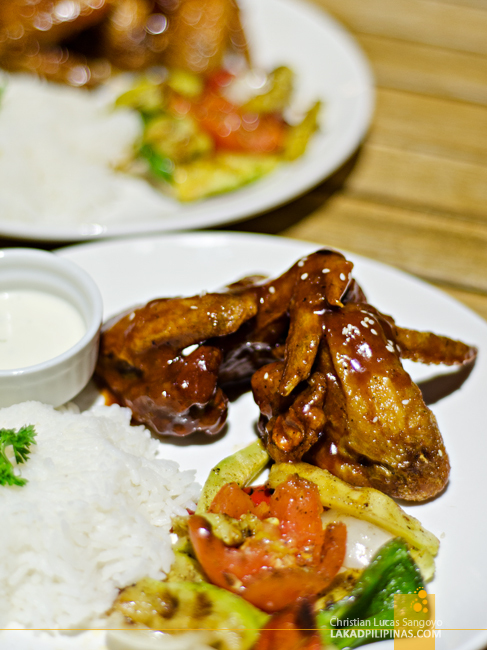 Besides the ribs, we also got to try their NYOrK Style Buffalo Wings (Php160.00), which was also quite good although I find the ribs better. These things actually come with a good serving of steaming rice and veggies. They are quite filling. Their pastas were not to be outdone though. 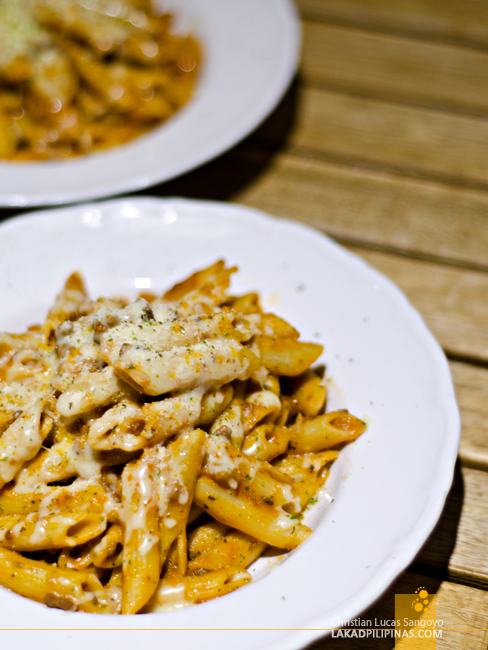 I sampled, okay erase that, I feasted on their Cheesy Baked Penne (Php140.00) until there’s no more left but sticky cheese goo on the plate. On the other hand, their Char Siu Chicken Pasta (Php140.00) was just okay for me. 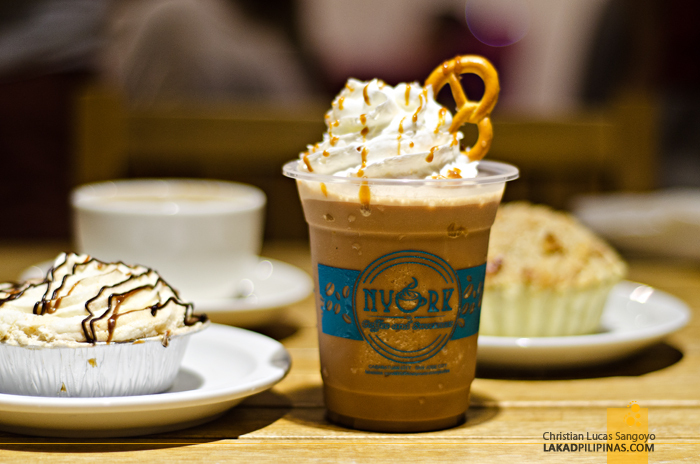 And of course, NYOrK does serve cakes and coffee too; but not just any coffee, it’s Koffee! We were able to talk to one of the proprietors of the café and she told us that they’re trying to get a little more creative with the flavors they put in on their drinks. An example of which is their Mocha Mint Brownie Fudge (Php105.00) ice-blended drink, which was a big hit with the group, so was their hot Milkyway Mocha (Php85.00). You can tell, we do love our mochas. 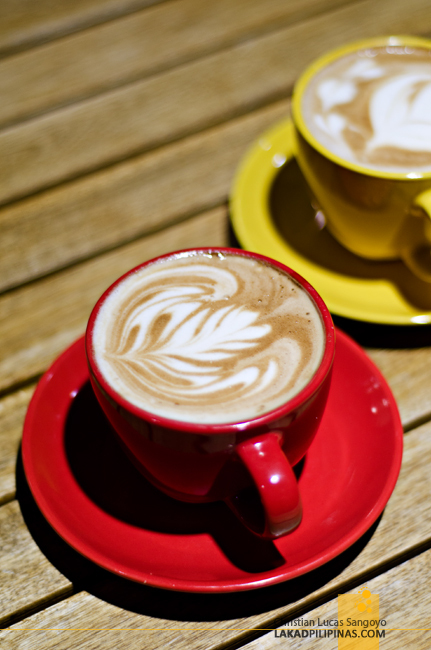 But more than mochas, another thing we love about NYOrK is their price. Most of the dishes we ordered have a good serving size at very reasonable rates. This café definitely has something up its sleeve besides good coffee. 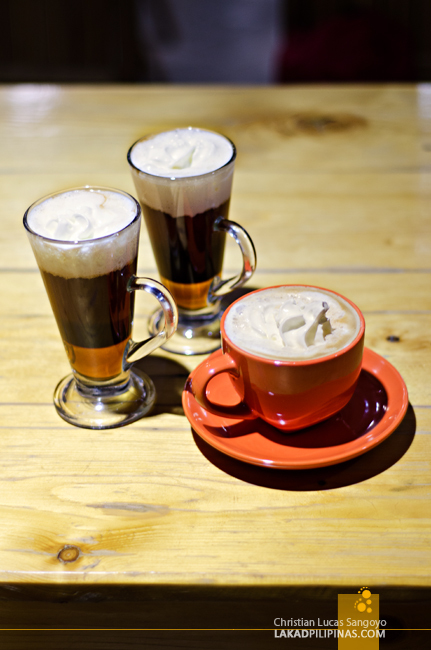 LET’S HAVE COFFEE AT NYORK! And after what supposedly was a simple snack that whirlwinded into a full blown food festival, the question now hanging on everyone’s mind was how the heck can we possibly have dinner after going through NYOrK’s almost entire menu. How indeed. Burp.